A refurnished deluxe version of the horror themed shooting video arcade game! 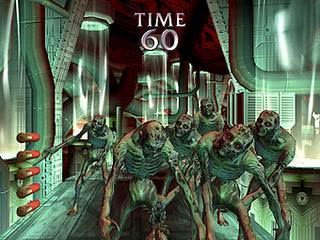 This is the third game in Sega's wildly successful House of the Dead franchise. This time there is terrifying creepiness afoot as twenty years have passed since "The Curien Mansion Incident" and the mad scientist's inhumane experiments have continued - but the doctor himself is long dead! Has some twisted despot found the doctor's research, or has the gate to Hades opened onto our world spilling forth the seed of dark rituals? In The House of the Dead III you will embark on a chilling journey into the loathsome pit of malevolence, an industrial depot lost amid swirling desert sands. Here you will witness the horror first hand as you go in search of a team of missing AMS agents who raided the depot two weeks prior to your assignment. A festival of gore awaits you, so grab your shotgun and head into the depths of an apocalyptic nightmare - the likes of which you have never seen! Stage selection where players choose where they'll start at the next stage. Each stage has a series of events that change based upon where you entered. There are random Boss battles, so that in each stage there is a different enemy boss you must defeat to complete the stage, however, this Boss appears randomly at the beginning, middle or end! There are also random endings, meaning more than five different ending sequences which will keep players hooked to see them all! This cabinet is the deluxe edition of House of the Dead III, which is larger than the standard cabinets the game was released in. As well as featuring larger rifles, this cabinet has a deluxe large monitor as well. 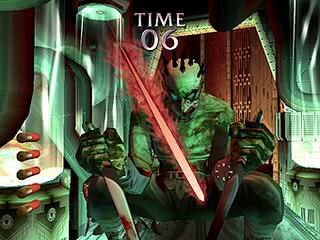 House of the Dead III was originally released to the arcade and amusement trade industry in 2002 and was a huge hit - indeed you still find the game in some family amusement centres, arcade venues and cinema foyers.